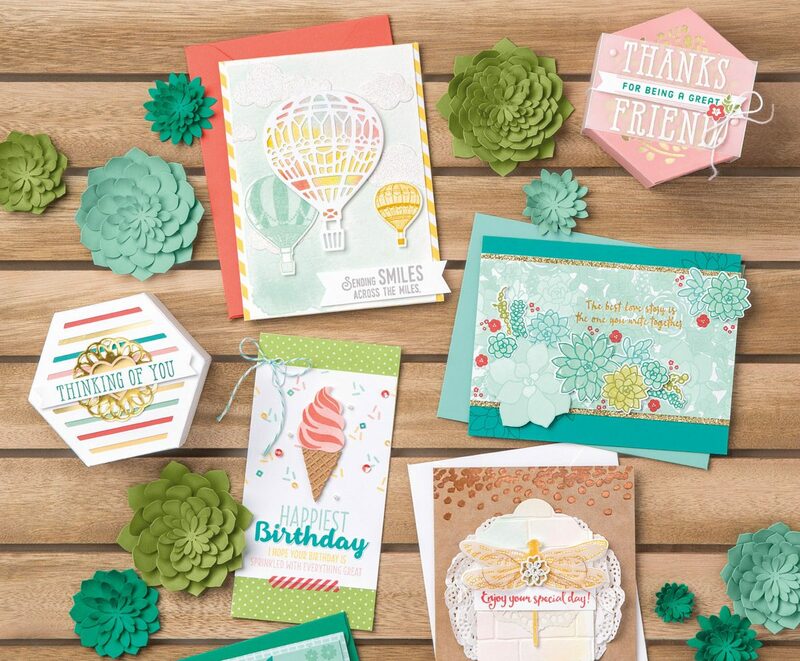 Stampin’ Up is having their year end sale with prices up to 60% off. They also have announced their Holiday catalog carry-over products which means their Holiday catalog retiring products are included in this sale. Also included are lots of clearance items and regular high inventory products. All the products either retiring or on sale are located in my on-line store under Year End Close Out. Here is the link to my store http://darleneseitz.stampinup.net. Listed below are some highlights in each category and how the close out will work. Retiring products: Stamp sets will be guaranteed available until December 21, and after that will be available until supplies last. They will not be available at all after January 3, 2017. Other retiring products will only be available while supplies last. Clearance items: Will be available while supplies last and may be available after January 3, 2017 at the clearance price. High Inventory items: Will be available after January 3, 2017 but at their regular catalog price. Tin of Tags project kit now $15.40 was $22.00 (retiring). Note that the stamp set that goes with the kit is also on sale at $16.80 was $21.00 (retiring). Don’t miss out on this great sale. See my on-line store Year End Close Out for all the sale items and the Retiring items. Here is the link http://darleneseitz.stampinup.net Please leave me a comment or email me at darstz@hotmail.com if you have a question either on the sale as a whole or an individual item. You can also call me at the number shown in my on-line store.